The Governor General visited the armoury of Les Voltigeurs de Québec, while in Québec. This was the first visit by a governor general since the fire that destroyed this historic building, one of the most distinctive in Québec, on April 4, 2008. 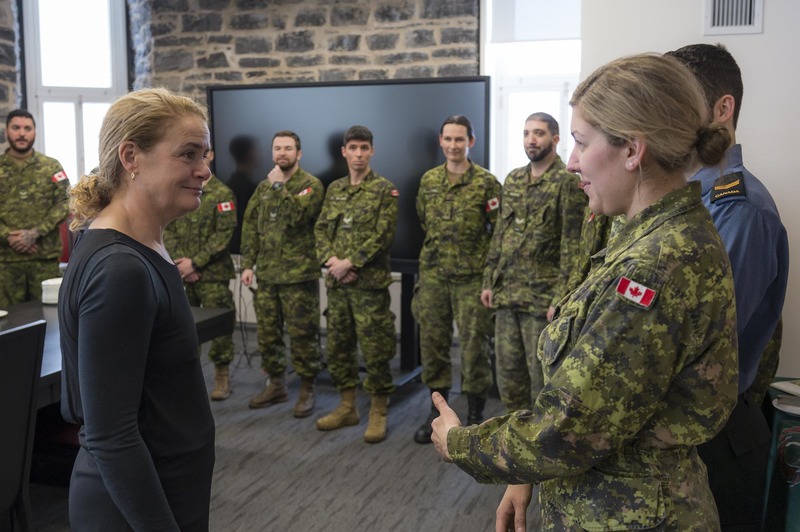 Greeted by an Honour Guard, Her Excellency met with Lieutenant-Colonel Tony Poulin, Commanding Officer of the Voltigeurs, and learned more about the history of the Voltigeurs and the armoury, a National Historic Site of Canada. The Governor General visited the armoury of Les Voltigeurs de Québec, while in Québec. She was greeted by an Honour Guard upon her arrival. 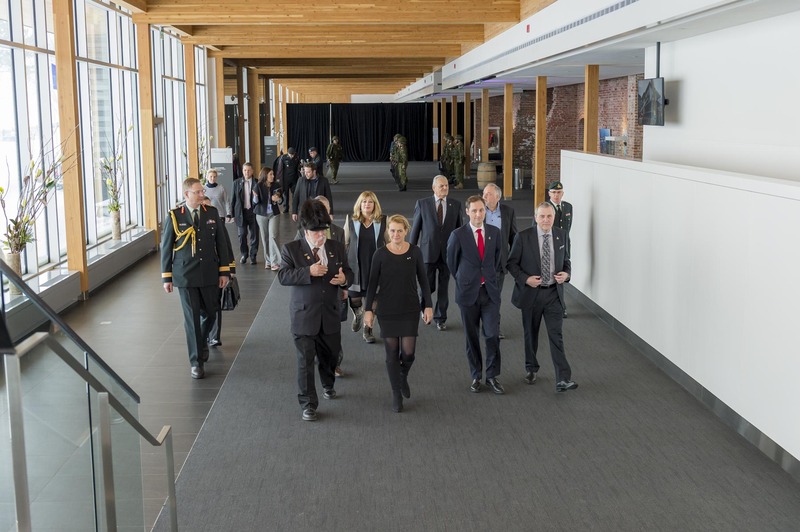 This was the first visit by a governor general since the fire that destroyed this historic building, one of the most distinctive in Québec, on April 4, 2008. 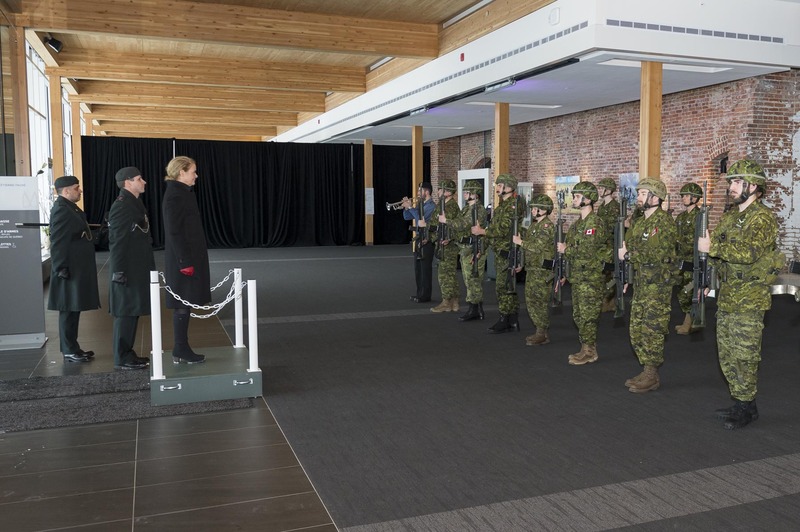 Her Excellency learned more about the history of the Voltigeurs and the armoury, a National Historic Site of Canada. Les Voltigeurs de Québec was founded as a rifle regiment in 1862. The Governor General took the opportunity of her first visit to sign a regimental scroll. The regiment now operates as an Army Reserve light infantry unit of the Canadian Armed Forces. Her Excellency had the opportunity to speak to a few of them. 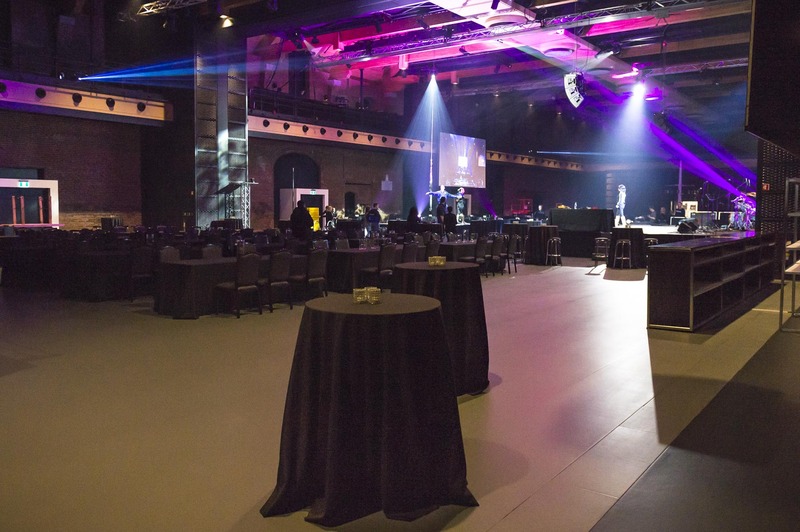 Since the fire, the historical building was rebuilt adn transformed as a multipurpose centre. Les Voltigeurs de Québec was founded as a rifle regiment in 1862 and was the first French-Canadian regiment. It now operates as an Army Reserve light infantry unit of the Canadian Armed Forces.